But it's a crying shame when the mozzarella on top of your burger isn't oozing down the sides and making a delicious mess when you bite into it. Getting the perfect melt is so easy to accomplish.... 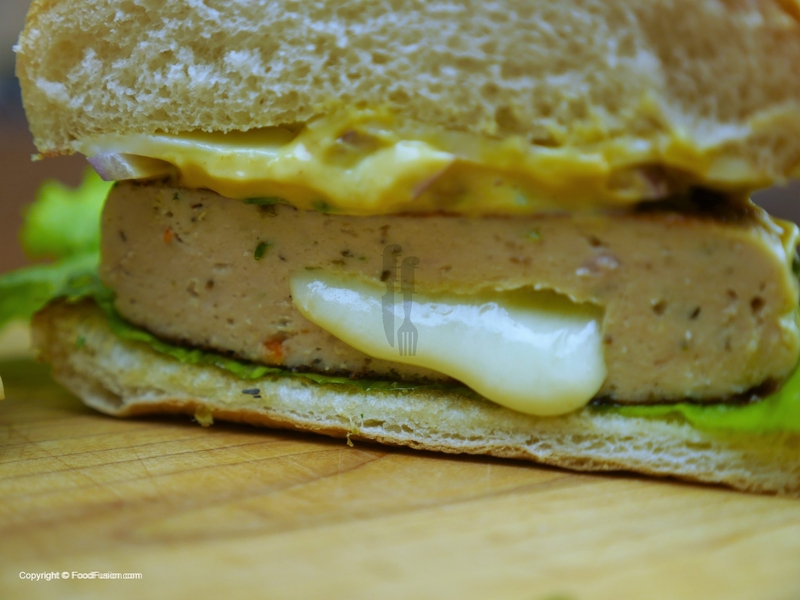 Melt some cheese Cheese is another burger staple and Feren suggests using pre-sliced cheese to keep your portion in check. "I use 25 percent less fat cheese � it offers protein and is great for calcium and B12," he says. Choose a cheese that�s known to melt the way you want it to. The problem is, when you�re shopping for cheese, you can�t necessarily predict its melting behavior �... Top with the cheddar and cook until the cheddar starts to melt. Step 3 Place the patties on the roll bases. Top with the tomato and avocado, and season with salt and pepper. Divide the chutney among the remaining rolls. Serve immediately. In a decent restaurant, not a fast food place, the cook will know that after putting the cheese on the flipped burger patty, you place a steel bowl upside down on top of it and squirt a bit of water around the edges. this creates a nice, steamy environment inside the bowl and melts the cheese into a gooey mass.... According to Thompson, cheese doesn't need a lot of heat to melt, and there is enough residual heat in the patty to melt the cheese. 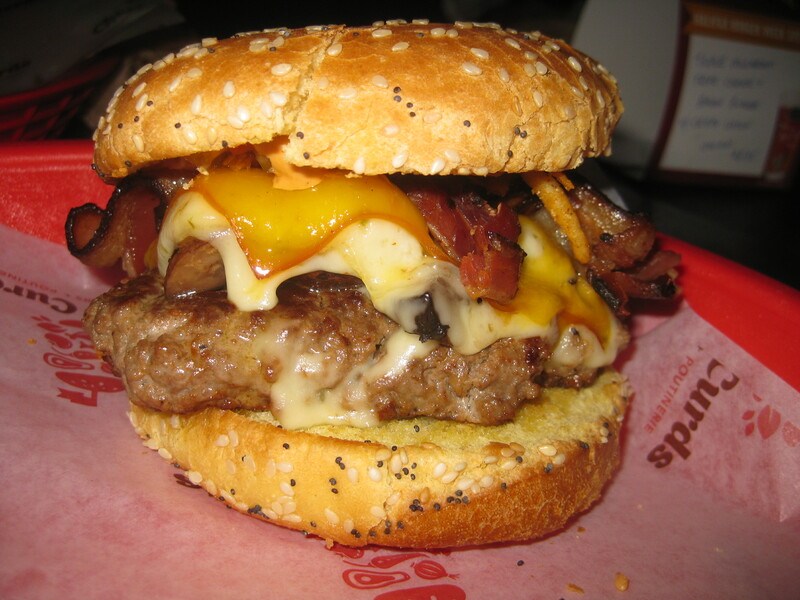 His method has you put cheese on the top burger bun and place the patty directly on the cheese to melt it. 7/03/2013�� After hamburger is done in the pan - turn off heat. Put slice of cheese on burger. Put cover on pan. The cover will hold the heat in without burning the burger and the held-in heat will melt the cheese.... Melt some cheese Cheese is another burger staple and Feren suggests using pre-sliced cheese to keep your portion in check. "I use 25 percent less fat cheese � it offers protein and is great for calcium and B12," he says. Melt some cheese Cheese is another burger staple and Feren suggests using pre-sliced cheese to keep your portion in check. "I use 25 percent less fat cheese � it offers protein and is great for calcium and B12," he says. Cook, flipping once, until the bread is very lightly golden on each side and the cheese is just starting melt. Remove from pan and wipe skillet clean. Remove from pan and wipe skillet clean.